Almost two decades after the Good Friday Agreement, funds are still being allocated to attempt to bring those choosing to operate outside the institutions of peace on board. agendaNi looks at the Executive’s latest action plan to tackle paramilitary activity, criminality and organised crime. It could be argued that those who have not given up paramilitary activity, criminality and organised crime at this stage never will. However, part of Stormont’s Fresh Start Agreement included the appointment of a three person panel to recommend a strategy for disbanding paramilitary groups. That panel made a total of 43 recommendations, which have formed the basis for the Executive’s action plan. A Cross Departmental Programme Board (CDPB), chaired by the Department of Justice, has been established to drive forward commitments made in the Fresh Start and the new action plan. It will be responsible for raising funds to initiate the plan prior to a pledge from the UK government to provide £25 million over five years (2016-2017), to be matched by the Executive. The Board will be responsible for monitoring and evaluating the implementation. An independent four-member panel established by the UK and Irish Governments, the Independent Reporting Commission (IRC), is also tasked with reporting annually on the end of paramilitary activity as part of Fresh Start. Tackling harm and criminality through law enforcement, the justice system and empowered and confident communities. Highlighted recommendations: Promoting lawfulness in schools and community youth work; review of community policing to ensure visibility in communities most vulnerable to criminal control; review of engagement protocols between authorities and paramilitary groups, public representatives and public/community groups. Targeted interventions to promote a move away from paramilitary activity, while working with communities to put in place interventions to develop confidence. Highlighted recommendations: Enforcement of funding rules while ensuring available funding for creative and ambitious initiatives; education and training opportunities for paramilitary-linked prisoners; a UK and Irish government led further decommissioning period. Enforcing robust law enforcement for those who refuse to move away from organised crime. Highlighted recommendations: An update of PSNI strategy and activity to reflect a shift in focus from paramilitary activity to criminality; investment in PSNI investigation to tackle criminality linked to paramilitary groups; consideration to allow assets recovered from criminal activity to be used to benefit victims, communities and the environment. 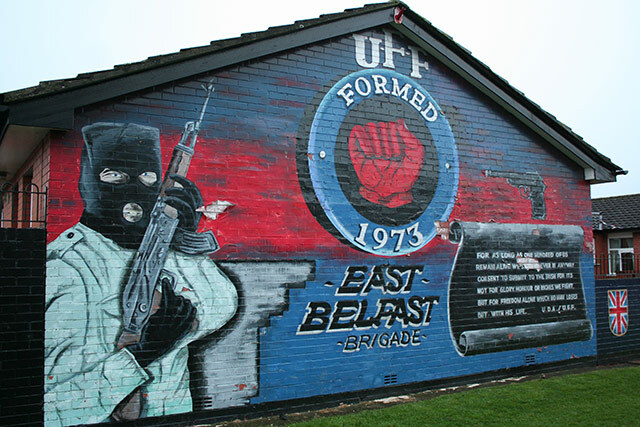 Addressing factors that can be exploited by those seeking to sustain paramilitary activity such as disadvantage, educational underachievement and division. Highlighted recommendations: Improving the educational and employment prospects of children and young people in deprived communities; reduction of segregation in education and housing; speedy agreement on the past and a way forward; speedy establishment of the Independent Reporting Commission (IRC).